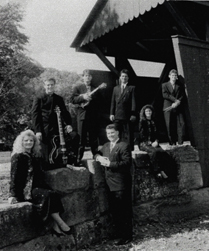 Although The McDowell Family are still working on this photo site you can view the Facebook sites for David and Sherry, The McDowell Family and Sweet Water Junction Band Facebook site. Click on the appropriate link below for the site. 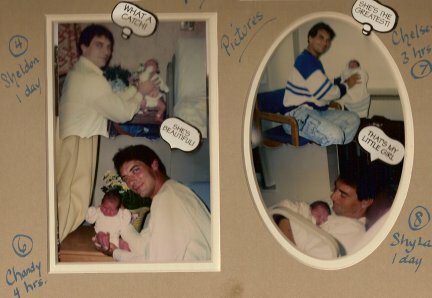 Lets start out with the pics we would take in the hospital room each time a baby was born. 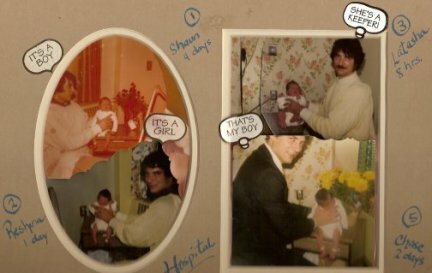 Dave always tried to set the baby on the table for a pose! notice he was lying down instead of posing Shyla, our youngest, on the table! By the time we had our eight, as you can see he is resting in the rocking chair with her, I guess he was just too tired to hold her up on the table LOL.